It is Monday the 16th April 2018, MY BLOG IS TWO YEARS OLD TODAY. . That can only mean one thing Birthday Gifts for you. I can’t believe it’s been a whole year since my blog turned 1. I have been so lucky over this last year blogging and have learnt so much. I feel that my photography, although still needing to improve, is improving. I am reading lots and getting lots of practice but it’s a slow and steady process. I got to attend my first blogging event which was with Lush (not sure if I had mentioned that? lol). It was a huge privilege for myself and so much fun to attend. I have chatted and got to know loads of you awesome beauts! What more could a gal ask for?!?!?! I am celebrating the only way I know how by giving you beauties a whole heap of goodies, yes, birthday gifts for you! Without you wonderful humans my blog wouldn’t have even taken off let alone be here two years later. I would like to thank all the amazing people who have helped and advised me over this year anyway that they have been able to. My amazing facebook group that are now nearing 700 of you beauties. You are all so supportive and I love interacting with you all. So, be sure to send me ideas you’d love to see or products and stuff. My little Instagram lovelies who have to put up with videos more than anyone else. I try my best to keep it real with you! You have to put up with the no makeup selfies or videos on the regular. However, I want people to see the real me and not just one made up for social media! All of my twitter following who get to enjoy most of my favourite GIFs and are so helpful with my polls. I love knowing who and what my audience is in to. Then I am able to deliver better content to you. I truly value the input you all have towards Tahnee’s Blog it really is the main reason I am still here, so a huge thank you again. To you reading this very post right now! YES, YOU my lovely. Thank you! Without you and all the other readers on this page, I may have given up a long time ago. I started my blog for me which is great and it has helped me massively in my own life. However, if you feel like you are talking to no one it won’t be long before you stop. My blog may not be hitting millions of views and likes but I see it constantly and steadily growing and it’s so exciting. That is because of you so again, thank you! I am so grateful you take the time to come here and read. Hopefully finding something of value to you along the way. I am so excited to share these birthday gifts with you for this years big birthday giveaway! So, there are gifts up for grabs and we are going to delve straight in with all the prizes available this year. This giveaway will be won by one wonderful Tahnee’s Blog reader and sadly this giveaway is UK residents only. It will be a random draw of one lucky winner and I will do this Live on my facebook page (dates below). To be able to keep track of those who would like to be entered into the draw please complete the following. 1. Leave a comment below so I know to add you to my list. 2. Like Tahnee’s Blog Facebook so you won’t miss the live draw. 3. Sharing is caring, please could you share the pinned post on my Facebook page. That is all you need to do my loves. This giveaway will run from today 16/04/2018 until 1/06/2018 at 6.30pm. I will then use a random number generator to select the winner. This will be done, as stated above, Live via my Facebook page at 7.30pm on the 1st/06/2018. 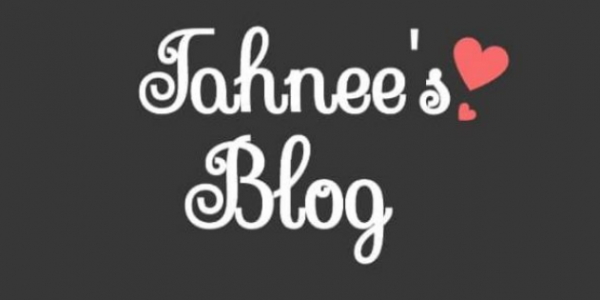 I want to finish this blog post by saying that I will be sitting down to plan the next year of Tahnee’s Blog really soon. I feel very lucky that I am able to do that and I strive to create a place of beauty, fashion and more with a good sprinkle of reality along the way. Good Luck everyone and thank you again. Happy Birthday to my Blog and I hope you love the birthday gifts!! This month is my 2nd blogging anniversary.. my latter blog. My former one has been off. Glad to see your birthday gifts. Having fellow bloggers who keep the spirit will be a great gift for me..
Lovely prizes – thanks for the chance to win! WOW!! This is my dream prize! Oh goodness! What a brill giveaway count me in!